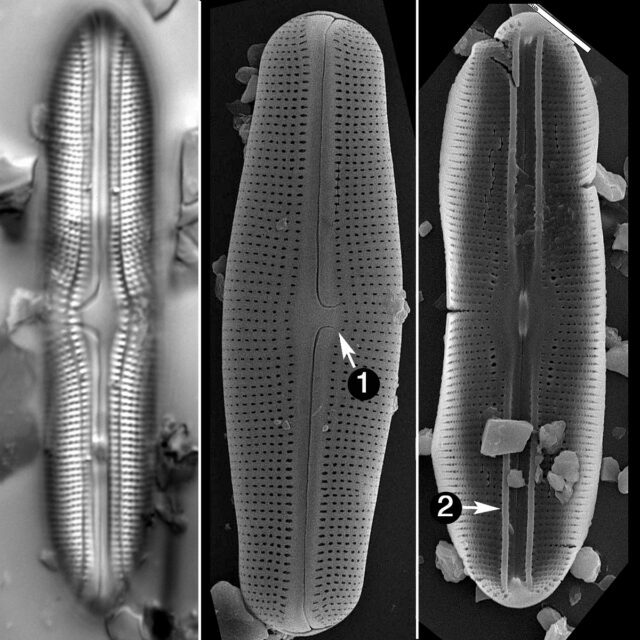 Bahls, L. (2014) New diatoms from the American West--A tribute to citizen science. Proceedings of the Academy of Natural Sciences of Philadelphia 163: 61-84. Kociolek, J.P., Laslandes, B., Bennett, D., Thomas, E., Brady, M. and Graeff, C. (2014) Diatoms of the United States 1: Taxonomy, Ultrastructure and Descriptions of New Species and Other Rarely Reported Taxa from Lake Sediments in the Western U.S.A. Bibliotheca Diatomologica 61, J. Cramer, Stuttgart. Reichardt, E. (2004) Eine bermerkenswerte Diatomeenassoziation in einem Quellhabitat im Grazer Bergland, Österrerich. Iconographia Diatomologica 13: 419-479. Van de Vijver, B., Mataloni, G., Stanish, L. and Spaulding, S.A. (2010) New and interesting species of the genus Muelleria (Bacillariophyta) from the Antarctic region and South Africa Phycologia 49: 22-41. Van de Vijver, B., Zidarova, R. and Kopalová, K. (2014) New species in the genus Muelleria (Bacillariophyta) from the Maritime Antarctic Region Fottea 14(1): 77–90.